Once the imperial summer capital of the British Raj, Shimla today is a year-round holiday destination. The capital of Himachal Pradesh, Shimla is located at an average altitude of 7,250ft. The city is famous for its British style architecture, dating from colonial times. Shimla is connected to the city of Kalka by one of the longest narrow gauge railway routes still operating in India: the Kalka-Shimla Railway. 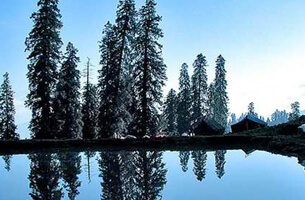 Shimla is 113 km from Chandigarh and 345 km from New Delhi. 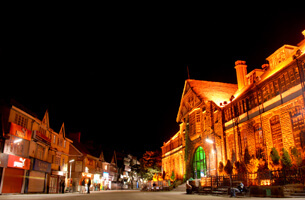 The_Mall_Road - Clarkes Hotel is located on Mall Road, the bustling main promenade of Shimla. Closed to traffic, Mall Road is a popular venue for a stroll in the evenings. On Mall Road, commercial enterprises rub shoulders with landmarks of the colonial era; Gaiety Theatre, the Town Hall, St. Michael's Cathedral and the General Post Office. The Clarkes Hotel is located on the Mall Road. Jakhoo_Hill - At 2,455 m high, Jakhoo Hill is the town's highest peak. It offers panoramic views of the Shivalik Ranges and the neighbouring hillside towns. The summit is crowned with a temple dedicated to Lord Hanuman, at which there fantastic Dussehra festivities are held every October. An ideal place for walks and picnics, Jakhoo Hill also has spectacular sunrise views. Jakhoo Hill is at a drive of 20 - 25 minutes from Clarkes Hotel. 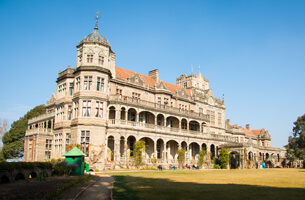 Viceregal_Lodge - The former residence of the Viceroy of India is a fine example of Gothic architecture. The balconies provide spectacular views of the snow-capped Shimla mountain ranges and the gardens are spread over 100 acres. At one time in its history, the Viceregal Lodge was the President's palace. It now houses the Indian Institute of Advanced Studies. Viceregal Lodge is at a drive of 10 - 15 minutes from Clarkes Hotel. Tattapani - This hot sulphur spring is known for its therapeutic, restorative powers. 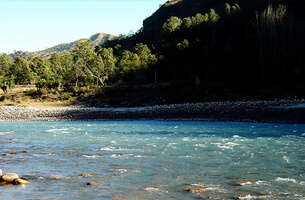 It is located 2 hours drive along the Sutlej River. Kufri_Ski_Destination - A ski destination in Himachal Pradesh, Kufri is located 16 km from Shimla, at an altitude of 2,622 m. From November to February, visitors come here to ski and toboggan. Kufri is a lovely picnic spot in the summer, with beautiful views of the surrounding hills. Kufri is a 30 minute drive from Clarkes Hotel. Naldhera - Originally called Naldeo by the British, Naldhera is 22 km from Clarkes Hotel, Shimla. 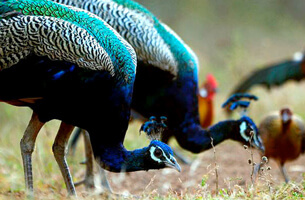 It has India's oldest nine-hole golf course, laid out by the British Viceroy, Lord Curzon, in the early 1900s. 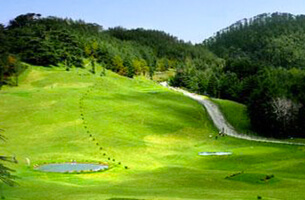 Captivated by the beauty of the place, which is surrounded by beautiful Himalayan cedar forests, Curzon established what is today one of the most scenic 18-hole golf courses in the country. Naldhera is approximately 1 hour drive from Clarkes Hotel. Chail_the_former_capital_of_the_Maharaja_of_Patiala - Built across three hills, the former capital of the Maharaja of Patiala: Chail is situated at the distance of 45 km from Clarkes Hotel, Shimla and is an attractive tourist spot, ideal for picnics. In 1891, the Maharaja was exiled from Shimla by Lord Kitchener. To avenge this dishonour he decided to make Chail a better summer capital than Shimla. The cricket pitch here is the highest in the world. The old palace and the polo grounds are also worth a visit. Chail is approximately 2 hour drive from Clarkes Hotel. 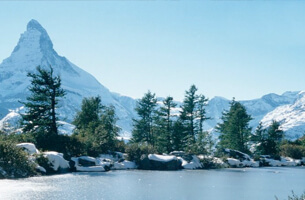 Narkanda - Situated on the Hindustan-Tibet Road, Narkanda offers panoramic views of the Himalayas. Apples and cherries abound in the nearby orchards of Kotgarh. 8 kms from Narkanda is Hattu Peak. At a height of 3,300 m, the peak has several ski slopes, including a beginner's run, a slalom slope and an advanced slope for seasoned skiers. Taradevi - Hop on to the "toy train" at Shimla and alight at Taradevi station. 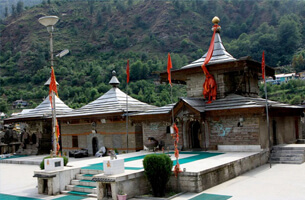 A trek through magnificent cedars up to Taradevi temple takes about 2 hours. The environment is serene and the views, magnificent.